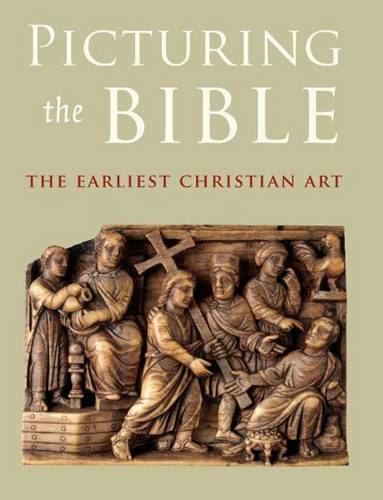 Picturing the Bible explores the vast tradition of Christian art at its very beginnings in the third century A.D., just as Christianity was emerging from its outlawed, clandestine status to become the state religion of the Roman Empire. What images did these Christians use to express their faith openly? Were they the first believers to part with Mosaic law by creating "graven images"? What Jewish and pagan sources, if any, did they look to for inspiration? When did they begin to depict the life of Jesus? This beautifully illustrated book takes up such questions, revealing the story of how Christian art began through insights from recent discoveries. Leading experts explore topics ranging from Jewish art in the Greco-Roman period and the influence of Constantine, to the development of church decoration and the meaning of illustrated Bibles. Throughout we see the distinctive pictorial selection of Early Christians, who at first depicted Old Testament figures-Abraham and Isaac, Jonah, and Daniel-and did not invent new images until over a century later. The special meanings attached to old images and new ones like the fish, anchor, and Good Shepherd all come to life in these pages. The essays are complemented by extensive new archaeological research on a range of more than one hundred objects, drawn from major museums of America and Europe. Frescoes, marble sculpture and sarcophagi, silver vessels and reliquaries, carved ivories, decorated crosses, and illuminated Bibles are illustrated in new color photographs, allowing the reader an unprecedented encounter with Early Christian art.